Implementing a disciplined approach to investing, as part of your investment plan, can help you gain the confidence to select and stay with your strategy through the short-term market fluctuations to achieve the long-term results you want. Such an approach should always consider your attitude toward risk. Your financial and emotional ability to deal effectively with risk will help determine the types of investments you should select for your investment portfolio. Risk is defined as the probability that you may lose some or all of an investment. Risk is a factor of investing that you should take time to understand prior to selecting any specific investment type (e.g., stocks or bonds) or specific investments (e.g., Company "ABC" Class A common stock or the "XYZ" equity mutual fund). In the normal course of market cycles, the market will go up and down. You may see the value of your investments rise and fall. How you respond when returns are pleasing or disappointing will affect your long-term success as an investor. What matters is that you know yourself well enough to take your likely reaction to such movements into account when making your investment decisions. Each investor has a different risk tolerance. The question of how much risk you are willing to take will help determine the type of investments you will select for your portfolio. Do you know your risk tolerance? One way to understand your risk tolerance in a more formal fashion is to use one of the many risk tolerance questionnaires that are available at financial websites or at your Broker’s web site. Just as important, as being aware of your risk profile now, is knowing that it may change over time. This is important since a change in your profile will almost invariably change your investment selections. For example: As a "baby boomer" investor approaches retirement, investments that were designed for long-term growth may be replaced with those that are likely to generate current income. As you increase your knowledge of different investment types, you become more aware of the importance of managing risk to help protect your return on investment. Any discussion of these concepts can quickly become quite complex and technical. Yet, let’s begin with a simple illustration reflecting the relationship between these concepts. Decide what percentage of funds should be in each asset category. Perhaps 50% stocks, 30% Bonds, and 20% Cash. Further divide asset categories into specific investments. Perhaps Stocks are divided equally between Growth and Value stocks, Bonds are divided between US Treasuries and some Corporate Bonds and your cash is in a CD and Money Market account for liquidity. The goal of asset allocation is to achieve a balance between the potential returns and the risk inherent in all investments. Since the returns on stocks, bonds, and cash rarely move in complete tandem, having all three in a portfolio can reduce volatility over time by offsetting setbacks in one category through gains in another. The mix of investments that you decide upon should reflect the risk/return relationships with which you can comfortably live. This is achieved through investing in a mix of asset classes that, most of the time, will respond differently to the same market and economic conditions. At a given point in time, the rise in value of one class will tend to partially offset a drop in value of another class. This "rise and drop" movement is known as volatility. By re-allocating some of the invested funds from bonds to cash and stocks, the overall risk of the portfolio decreases while the return remains the same. Another way to reduce risk is through diversification. Using this approach, you spread the risk of investing and create the opportunity for setbacks in one investment to be offset by price gains in another - all within the same asset category (e.g., stocks). For example, using diversification, you would select different stocks for the stock portion of your portfolio. To illustrate, let's look at two factors to consider in diversifying the stock component of a portfolio. Number of securities - Historical data suggests that investing in 15 - 20 different stocks and eight (8) different industries offers the protection of equity diversity. Beyond that range, greater diversification does not appear to have a meaningful impact on risk. Variety of securities - You can divide your equity investments among securities of different size characteristics, such as large or small capitalization stocks, and style characteristics, such as growth or value stocks. You can also invest in securities of different industry groups and geographic locations. Similar diversification can be achieved in the bond asset class. There are differences, however, in some of the considerations that are used. For example, with bonds, investors would seek variety across issuers, maturity dates, yield curves and currencies. Risk is defined as the probability that you will lose some or all of an investment. Understanding your risk tolerance is important in your investment decisions. Asset allocation and diversification can be effective approaches when seeking to reduce risk and increase returns. Asset allocation defines what percentage of your investment funds are in each of the major asset categories (i.e., stocks, bonds and cash or cash equivalents). Diversification further divides your investment dollars within each of the major categories. 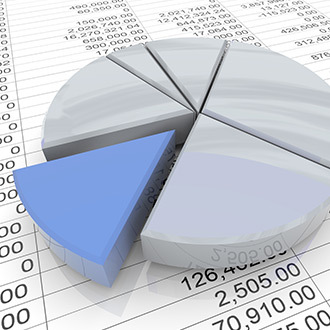 The completeness of a financial plan is dependent upon the depth and accuracy of the information used to develop it.